On September 21, the state of Georgia intends to kill a 43-year old man named Troy Davis who has spent nearly half his life on death row. This is the fourth time Davis has faced the executioner’s needle. A powerful international movement, fueled by the lack of evidence linking Davis to the 1989 murder he’s accused of—and by simple opposition to the barbaric death penalty—has pushed back the state’s previous attempts. Now that same movement is mobilizing again for petition campaigns, appeals from legal and religious figures, and mass action—with the goal of securing a just ruling by the Board of Pardons and Paroles at its clemency hearing on September 19. Supporters can participate in this important fight by visiting justicefortroy.org, which links to a range of actions to take; local events in many cities are being planned for a Global Day of Action on September 16. In Atlanta, a mass march, featuring the speeches by several exonerated death row inmates, is planned from Woodruff Park downtown to Ebenezer Baptist Church, where Dr. Martin Luther King, Jr. was pastor. If you can’t make it to your local action or participate in petitioning, contact the Georgia Board of Pardons and Paroles by phone (404-656-5651) and e-mail (Webmaster@pap.state.ga.us) to request clemency—and then ask your friends, family and coworkers to do the same. Troy Davis grew up in Cloverdale, a working-class Black suburb of Savannah, Georgia. After completing his GED, he continued to live with his family while working at a metal factory. In August 1989, twenty-year-old Davis was arrested—accused of fatally shooting a white police officer named Mark MacPhail. He was convicted of murder in 1991 and placed on death row, despite the lack of any physical evidence linking him to the killing. In fact, the prosecution’s case was built solely around testimony from nine witnesses. Later, seven of the nine witnesses would recant, many of them identifying another man as the murderer. However, attempts to secure a new trial—where a jury would have to decide whether to sentence a man to death based on the remaining two pieces of testimony—have been unsuccessful. Meanwhile, Troy’s sister Martina Correia put in years of work publicizing the injustice of his case in Savannah and creating broad grassroots support. Georgians for Alternatives to the Death Penalty, an activist organization formed in the 1980s, anchored a statewide coalition including large organizations like the NAACP and Amnesty International, which in turn helped win support from activist groups, celebrities, and political figures around the world. For many people, the Troy Davis case represents everything that is wrong with capital punishment in the United States: its race and class bias, its tendency to execute the innocent, and the spectacle of state-sponsored violence. Those who find themselves on death row are far more likely to be poor, Black, male, and living in the South. Many are offered inadequate legal counsel, making it a successful appeal unlikely. All of these are true for Troy Davis. In Atlanta, Black talk radio was key to making Troy’s case well known in many African-American communities. When petitioning to gather signatures for Troy in Atlanta or Savannah, it was common to encounter people who recognized his iconic portrait, were familiar with the basic details of the case, ready to sign and ask about new developments in his appeal for justice. 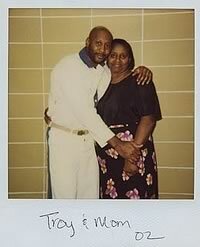 This movement shed light on Troy Davis’ situation, undermining one important basis of the death penalty. While state executions do nothing to deter violent crime, they are a way of reinforcing the ultimate authority of the state in administering “justice”, giving a tough-guy image to politicians, and scapegoating its victims. There’s probably no better example of how capital punishment whips up bloodlust than the thunderous applause for Rick Perry’s boast at the recent presidential debate that he’s overseen the killing of 234 death row inmates. Broad public belief in Troy’s innocence put the state of Georgia on the defensive and stopped three successive execution dates. Before his first date on July 17, 2007, the Georgia Board of Pardons issued a stay of execution, which was prolonged while the Georgia courts deliberated on a granting a new trial before eventually failing to do so. Meanwhile, lawyers petitioned the federal Supreme Court to stop the execution. The U.S. Supreme Court stalled, and a September 2008 date was set for his execution. Just hours before the scheduled time, the Supreme Court intervened and halted the killing—but refused to offer a hearing for his petition. This resulted in a third execution date one month later on October 27, 2008. Each successive execution date created more urgency and expanded the movement. Hundreds of thousands of signatures were collected and supporters rallied, marched and held vigil in Atlanta and internationally. Troy Davis’ search for justice entered the confusing world of the U.S. legal system, continuing to attempt appeals and petitions to various levels of the courts. Two successive hearings were held (in Spring 2009 and Summer 2010) in different with the goal of winning a new trial. Unfortunately, while during an initial trial a suspect is innocent until proven, at these hearings Davis’ legal team had to prove his innocence in order to overturn the existing conviction. In other words, the burden shifts from the state to Troy Davis. Proving innocence (which has been done in many death row cases—some of them, sadly, posthumously) is nearly impossible without DNA evidence. In the most recent hearing, federal district Judge William Moore ruled, in a very long order, that “the case isn’t ironclad”—but that Davis failed to reach a threshold needed to demonstrate innocence. The past year has been relatively quiet in the streets as activists regrouped from the legal attempts to win a new trial. Meanwhile, broad ethical opposition to the death penalty has led to some macabre twists. In the past, executions have faced the problematic requirement of having a doctor on site—because, of course, participating in a murder violates the Hippocratic Oath. A drug called sodium thiopental is used for many states with capital punishment, including Georgia. But the companies that manufacture this sedative bar its sale to corrections agencies that perform executions. On March 16, the Georgia Department of Corrections found itself on an unfamiliar side of the “War on Drugs” when the DEA seized several states’ supplies of sodium thiopental after learning they had been acquired illegally. While such episodes won’t abolish the death penalty on their own, they can be seen as cracks in the system, the result of decades of action to end the practice for good. 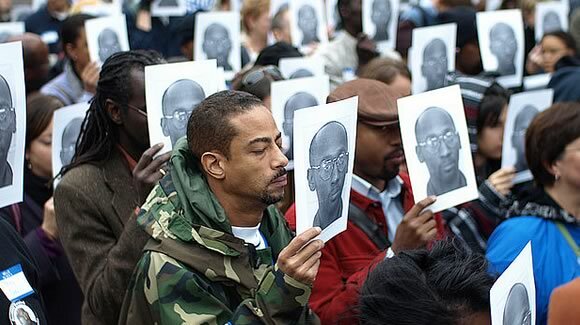 Right now, the most important such action you can take is joining the fight to save Troy Davis’ life. Kathryn Hamoudah of Georgians for Alternatives to the Death Penalty helped with this article.